After a car accident, you want to be able to rely on your insurance company. You want them to be able to give you the money you deserve from your claim. Unfortunately, that’s not typically how the insurance company works. They exist to make money, and one of the major ways they do that is by not giving your money. The LA Injury Group car accident lawyers in Los Angeles can help you to get the compensation you’re due, and there are some things about insurance companies you should know. At the LA Injury Group, the car accident lawyers in Los Angeles there remind their clients often that no matter how friendly an employee from the insurance company might be, they aren’t really your friend. When you talk to them, they may be incredibly helpful. They could be kind and warm. They might be a great conversationalist who really feels for you after your injury. But you have to remember, they’re there because the insurance company sent them, not because they’re your pal. It’s important to keep that in mind because it’s all too easy to feel like they’re there for you. Really, they’re there as an emissary of the insurance company. The insurance company makes money by denying your claim and not giving you your money. Often, the person you talk to from the insurance company not only puts a nice face on that, they actively facilitate it. Contact the car accident lawyers in Los Angeles from the LA Injury Group before you ever sign something from an insurance company. The main reason you shouldn’t sign from the insurance company without a lawyer seeing it first is that it’s always going to be offered to you to get you to take less money than you deserve. One of the major ways that an insurance company does this is by offering you a settlement offer. Sure, it might seem very generous. In fact, it might seem like they’re doing you a favor, as you’re scared and vulnerable after an accident. However, it’s almost never, ever a good idea to take the first offer from the insurance company. That’s because the first offer is almost always going to be a “low ball” one. The insurance company knows how much your claim is worth. So, their goal, and indeed, their whole business model, is to make sure that you get less money than that. To that end, they figure by getting to you quickly, after you’ve been in an accident, they can get you to just take any money they throw at you. They figure you’ll need the money to get your vehicle repaired, or otherwise get your life back on track. Don’t let them get away with it. Hire the LA Injury Group car accident lawyers in Los Angeles instead. Another major reason not to sign the first deal offered by an insurance company is that you just have no idea what your injuries are going to end up being. Hopefully, even though you went through a car accident, you didn’t suffer any injuries at all. In a just world, you walked away unscathed. However, even if you didn’t, you might still have cause for worry. Many of the most debilitating and lasting injuries from a car accident don’t show up for a time. You might think you’re fine, and then weeks later, months later, or even later than that, you might have more issues. So, that’s just another reason why the LA Injury Group car accident lawyers in Los Angeles don’t want you to sign the first deal from the insurance company. You could agree to a settlement that you think is very generous, only to discover later on that you had chronic problems. Now, you’re on the hook for paying for those for the rest of your life. Beyond living with those kinds of injuries, you never want to live with that kind of regret. The experience of the LA Injury group car accident lawyers in Los Angeles can come in very handy here. When you a schedule a free consultation, they can sit down with you and figure out what your claim could be worth. They’ve seen it all before, in the decades they’ve been doing this, so they know exactly what to look for. The insurance company is going to have the best, most experienced lawyers on their side. You and the people in your life who count on you deserve the same. The LA Injury Group car accident lawyers in Los Angeles have to remind people that insurance companies are under no obligation to treat you in a fair manner. They have their own set of rules. For example, in the aforementioned offer from the insurance company, another enormous reason you want experienced attorneys to look at it before you sign it is all of the fine print. The layperson might not know what it says. By having a pro look at it first, someone who’s on your side, you can make sure you’re making the right decision for you and your family. The insurance company and the people who work for them know what they’re doing. That’s why the LA Injury Group never recommends giving a recoded statement to the insurance company. Give them the bare minimum of facts, and that’s it. There’s little benefit to you for giving them a longer explanation, and quite a bit of downside. The insurance company could end up using your own words against you to lessen the compensation you could get. In fact, that’s what they want to do. When you talk to someone from the insurance company, whether they call themselves an “adjuster” or something else, it’s always good to keep in mind that they have been trained for this job. No matter how nice or pleasant or funny they might be, they have been trained to do this. So, when they ask you to give a recorded statement, they’ve been trained to ask you questions and say things that will lessen what you could get for your claim later on. A trap injured people fall into too often with these insurance company recorded statements is: they diagnose themselves. For example, if you were in a car accident, and maybe your neck was sore, but you knew you were going to be all right. You tell the insurance company adjuster: “my neck’s a little sore, but I’m fine.” Then, maybe you get on with your day. However, a few months later, you’ve developed chronic neck problems. As it was a direct result of the car accident, you want to be compensated. However, now the insurance company has that statement you made. They can ask you whether you were lying when you said you were ok, or if you’re lying now that you say you have the chronic problems. You weren’t lying in either case – you were merely stating what felt true at the time, but that’s just one way the insurance company works against you. That’s just one reason the LA Injury Group strongly recommends against giving one of those statements. The LA Injury Group has attorneys that specialize in car accidents, motorcycle accidents, bicycle accidents and all different kinds of accidents. Beyond that, they also have personal injury attorneys that deal with slip and fall cases, and so many other types of law. Basically, they can be there to help you get compensation when you’re injured through someone else’s negligence. With years of experience, they know how to take on the insurance companies as well as other defendants and win. 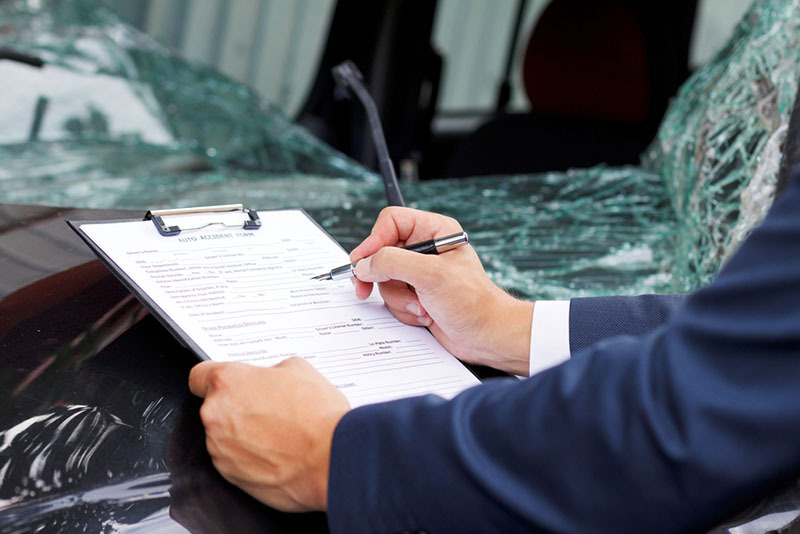 Schedule a free consultation with a car accident lawyer by calling (818)210-4558 or going to their website.